About a year or so ago my husband and I had dinner and games at a friend’s house. They introduced us to the idea of homeschooling and this ultimately led us to the decision to homeschool our son. Our first full year of homeschooling is almost over and so far it’s been a great journey that we totally feel is worth it. Our son has learned so much! 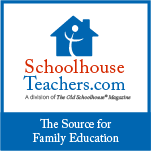 I have felt led to start this site to express my opinions on things, share any teaching ideas I have with other homeschoolers, and also to share any resources I have made that others may find useful.